Tacoma Estate Planning FAQs - Blado Kiger Bolan, P.S. A will is a legally enforceable document expressing your wishes for what should be done with your estate following your death. It generally names a personal representative (also sometimes referred to as executor or administrator) who is responsible for fulfilling your stated wishes. In addition to stating what you want done with your estate upon your death, you can also nominate a guardian for your minor children and state your wishes as to your funeral in your will. Contrary to what many people think, the state will not take your property if you die without a will. Washington has a set of laws that detail who will inherit your property upon your death. Generally speaking, the relatives most closely related to you will inherit from you if you die without a will. If there is already a law in place saying who gets my property upon my death, why should I have a will? Because you may want your property divided among your family or friends differently than provided by law. Also, without a will, all of your property is treated the same. It will all go to one person or group of persons, such as a spouse, siblings, or parents, without differentiation. By preparing a will, you can specify which of your property goes to which family, friends, or other beneficiaries. Even if you have a trust, you still need to have a will. A trust will only take care of property that is titled or kept in the trust. To be effective, a trust should be accompanied by something called a pour-over will to put any property that may have been forgotten into the trust upon your death. Also, using a trust just because you want to avoid probate may not make sense legally or economically. Probate in Washington is generally not a difficult, lengthy, or costly process. In some cases, the cost of preparing a trust can be 10 times the cost of preparing a simple will, and in some cases the cost of a trust may exceed the cost of an entire probate. Before deciding to use a trust for estate planning purposes, you should consult a will and trust attorney to see if it accomplishes your goals, both legally and economically. In order for a will to be enforceable, it not only needs to be prepared correctly, it also needs to be signed and witnessed properly. Many do-it- yourself will packages are generic and not state specific, and therefore may not meet the requirements to be valid under Washington law. And those packages that are state specific still require some drafting or filling in the blanks. Doing this yourself may result in unintended consequences after your death. Having an attorney select the proper will form, draft it to your specific needs, and ensuring that it is signed and witnessed properly is usually not much more expensive than a do-it-yourself kit, and should give you added peace of mind that it is done correctly. A “living will” is also called a Directive to Physicians in Washington. A Directive to Physicians is a legally enforceable document signed by you that states you do not want your death to be artificially prolonged. Unlike a medical power of attorney, you are not appointing someone to make these end of life decisions for you. You are expressing your intent and wishes in the Directive and asking your family, doctors, lawyers, and clergy to honor those wishes. In Washington, you can also direct that your physicians administer drugs or narcotics to ease your pain and suffering to improve your quality of life in the event you are terminally ill and not otherwise able to make your wishes known. A power of attorney is a legally enforceable document in which you give someone else (an “attorney in fact”) authority to act on your behalf. A “durable” power of attorney remains effective even if you later become legally incompetent for some reason. Powers of attorney can be effective immediately or effective only upon disability. Powers of attorney can also be general, covering all types of decisions; or they can be specific, such as for medical decisions only. My father died without a will. What will happen to his assets? One-half of his separate estate. You and your siblings, if any, will receive the remainder of your father’s estate, or all of your father’s estate if he had no surviving spouse. If your father had no spouse or surviving children, then his estate would pass to other relatives in the following order: grandchildren, great-grandchildren, parents, siblings, nieces and nephews, etc. Although many people believe a decedent’s assets will go to the State or another governmental entity if they had no will, that is highly unlikely. This would only happen in the event the decedent had virtually no surviving family. However, that does not mean a will is useless. A will allows an individual to specify exactly how his or her assets are to be divided, identify who will handle his or her estate (the Personal Representative), and state whether the Personal Representative will have to post a bond. If any assets pass to a minor, the will can also specify who will handle the asset(s) on behalf of the minor. For those with minor children, the will can also specify who will take care of the children in the event both parents die. These considerations, along with many others, make wills an extremely cost-effective way to ensure an individual’s wishes are honored upon his or her death. A power of attorney is good to have in place in the event you become injured or are otherwise unable to handle your own affairs, whether you have personal, medical, or financial issues to manage. In many cases, having a power of attorney can help you avoid the expense of a guardianship if for some reason you are no longer able to care for yourself or your finances. A power of attorney can also be useful for people who are traveling and need someone back at home to handle financial or real estate matters for them. I have a power of attorney for an individual who just passed away. Can I use the power of attorney to handle estate matters? No, a power of attorney is revoked upon the death of the person who signed it. At that point in time, the personal representative, executor, or administrator becomes responsible for handling the estate. What if we die in a common disaster? Do our wills need to make provisions for that? Washington law provides that if a transfer depends on an individual surviving the death of another, the individual surviving must survive the other person by one hundred and twenty hours, or it will be treated as if they predeceased the other person. In your will, you will want to provide for an alternate beneficiary, and potentially a second alternate as well, in case your primary beneficiary does not survive you by one hundred and twenty hours as required by state law. I would like to ensure that our pets are cared for after we’re gone. Is that something that goes into a will? Trusts that are established for the benefit of animals are valid and enforceable in accordance with their terms in Washington State. You can establish a Pet Trust for the lifetime care of your pets. You can include a selection of a caregiver, a trustee, and what veterinarians are to be used. You can provide for reimbursement to caregivers, trustees and veterinarians for their services. A Pet Trust can be created by itself, or as part of a Last Will and Testament or Living Trust. If you don’t want to create a Pet Trust, you can designate a caregiver in your will, and if you would like you can also leave funds to that person for caring for the pet. It is important to name alternate caregivers, in case the first choice of a caregiver in unable or unwilling to assume those duties. If you have a Durable Power of Attorney you can include a provision that allows your agent to make care decisions for your pets in case you are unable to do so at any time during your life. We signed a prenuptial agreement. Does the will override that agreement? A prenuptial agreement doesn’t transfer property. The prenuptial agreement specifies who would keep what property, and what property is separate and community. A person can then leave the property that is his or hers to whomever he or she chooses in the will. A will cannot override a prenuptial agreement, because in a will a person can only give away property that is his or hers according to the prenuptial agreement. How do I destroy my Power of Attorney? I’m worried my agent may show up with a copy and deny I destroyed it. A Durable Power of Attorney is effective until revoked or terminated by a principal, by a court-appointed guardian, or by court order. A Power of Attorney that is recorded with the county auditor is revoked when a revocation is recorded in the same office where the original Power of Attorney was recorded. In order to revoke the Power of Attorney, you need to give notice to the person who has the Power of Attorney. The best way to do this is by having an attorney prepare a Revocation of the Power of Attorney, and then provide that to the person holding the Power of Attorney. You should also provide the Revocation to any of your financial institutions. If the Power of Attorney is recorded, you will need to record the revocation. Even if the Power of Attorney is not recorded, it would be a good idea to record a revocation anyway. A Limited Power of Attorney is a Power of Attorney for a specific or limited purpose, and would allow someone to act on your behalf for only those specific or limited purposes. On the other hand, a General Power of Attorney allows a person to act on your behalf for any purpose. A Limited Power of Attorney could be for one specific purpose such as buying a home, buying a car, or buying/selling stocks and investments. A Limited Power of Attorney would most likely only be valid for a certain period of time, and unless designated as a Durable Power of Attorney it would become invalid if you became incapacitated. Estate planning involves the determination of how a person wants their assets or estate distributed after they pass away. It also involves a person’s final health care wishes and how they will be honored. A person’s estate consists of all property they own at the time of their death including: real estate, bank accounts, stocks and other securities, life insurance policies, and personal property. Can someone who had a felony removed from their record be an executor for an estate in Washington State? Possibly. Under Washington law, someone who has been convicted of a felony is disqualified from serving as personal representative (executor or administrator) of an estate. If the felony was correctly removed or “expunged” from someone’s record, then it should be treated as if the felony conviction never existed. Therefore, the person should be permitted to serve as personal representative of the estate. However, when interpreting this statute, courts have held that the list of people disqualified from serving as personal representative is not a complete or exhaustive list. This means the court can decline to appoint someone as personal representative for other reasons not listed in the statute. Also, if someone is convicted of a felony after being appointed personal representative, the same statute says the court must remove that person. Yes. But the next question is what purpose re-opening the estate serves? Usually an estate is re-opened if it is discovered that some property was not properly transferred, or some other business to wind up the decedent’s affairs was neglected. The court would need to appoint or re-appoint a personal representative. And reasons should be given to the court – in a petition – for why the estate should be re-opened. Whether the estate will be re-opened will have to be decided by a court. My friend’s dad passed away and we would like to take over the mortgage payments. Can we do that? The answer depends on who would be taking over the mortgage payments. If the person taking over the payments is a relative of the deceased person, then yes, payments can be taken over. But generally speaking, a transfer of the property to a non-relative triggers something in the mortgage called a “due-on-sale” clause. The due-on-sale clause means that the mortgage company is entitled to payment in full if the property is transferred to someone other than the borrower. Due-on-sale clauses apply to most transfers, whether there is an actual sale or not. There is a federal law that says a due-on-sale clause cannot be used by a bank to demand full payment if the transfer is to a relative upon the death of the borrower, to a joint owner of the property upon the death of the borrower, or to the borrower’s spouse or children. There are some other exceptions as well, but none apply in this circumstance. Alternatively, the person wanting to take on the mortgage could agree to purchase the property, obtaining a new purchase loan to pay off the existing mortgage, or possibly apply for a refinance. In some rare circumstances, a bank may also agree to an assumption of the loan by the new owner/borrower. My mother passed away and left only bills — no assets. Do I still need to probate? If there are no assets, then no probate is necessary. But you may want to take legal action to handle the outstanding bills. This can be done in a probate proceeding, or by using a process to settle creditor claims for estates passing without probate. If there are absolutely no assets, then you could simply do nothing, and ignore the calls and correspondence from creditors. The bills left behind by your mother will remain her obligation, and do not become the obligation of the heirs or beneficiaries of the estate. But any assets of your mother may remain liable for those bills, even if the assets passed to heirs or beneficiaries without probate. If there were assets, creditors could seek payment out of those assets. If nothing is done, the creditors will have until the statute of limitations runs out on their claims to collect against those assets. In some cases, the statute of limitations could be as long as 6 years. By going through probate, or using the process to settle creditor claims for estates passing without probate, in most situations you can reduce the statute of limitations on these claims to as little as 4 months. This process is set out in statute and is somewhat involved, but can be easily accomplished with the help of an attorney. The peace of mind to heirs and beneficiaries of knowing that creditors won’t come looking for payment out of assets they inherited, may be worth the time and money spent doing a probate, or settling the creditor claims. I have heard that I should avoid probate, is that true? Many of the stories people hear about why they should avoid probate are unfounded, especially here in Washington. Washington has a probate process that can potentially be simple, straight-forward, quick, and inexpensive. Probate is simply a legal process where an individual called a personal representative is appointed to wrap up the affairs of the decedent, pay final bills, and distribute the estate to its beneficiaries. Going through probate can even reduce the amount of time that creditors have to collect on a debt of the decedent. Yes, it is possible to avoid probate. Depending on the particular circumstances of a given case, some or all assets may pass to joint account holders, payable on death beneficiaries, or a spouse under a community property agreement. If a person dies owning no real estate and having assets of less than $100,000 it is also possible to avoid probate using something called a small estate affidavit. There is no rule saying how long a probate must take. In some cases it is possible to complete a probate in a matter of weeks. In many cases it may be advisable to provide notice and opportunity for creditors to file claims with the estate. In these cases it is normal to wait at least 4 months to see if any creditor claims are submitted. If the estate is large enough to be taxable, the probate may take several months to more than a year to conclude. Ultimately, the length of time for a given probate will depend on the specific facts of a given case and what benefits of a probate the family may wish to take advantage of. No, as with any case, you are always free to represent yourself. However, by hiring an attorney to help you with a probate, you benefit from the training, skills and experience of that attorney. A probate attorney will be much more familiar with the necessary forms, procedures, and practices necessary to successfully complete a probate. This will save you time, and can also speed up the overall process in many cases. If you do decide to do a probate on your own, some forms can be found online, or at the local county law library. However, librarians and court clerks are not allowed to give legal advice or advise on the proper completion of such forms. The Washington Supreme Court recently passed a rule authorizing the licensing of “legal technicians” who will be permitted to provide some limited advice and assistance with filling out forms and otherwise navigating the legal process. However, at this time, there are no legal technicians in the area of probate. I have an original Will of a relative who just passed away. There are no assets that require probate. What do I do with the original Will? 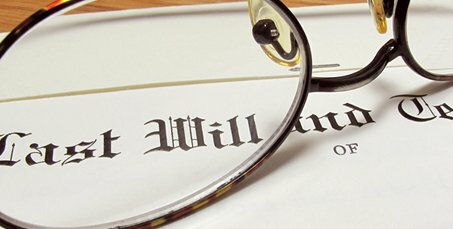 Even if you do not intend to probate the Will, Washington law requires that you either deliver the Will to the Personal Representative named in the Will (if that is not you), or file the Will with the superior court within 30 days of you learning of the death of the person whose Will you have. Is there a difference between being named a personal representative or an executor? No, “Personal Representative” is simply a more modern term for executor or executrix. An executor (male) or executrix (female) is simply the person named in a decedent’s Will to complete or “execute” the last wishes of the decedent. The term Personal Representative can also refer to administrators (male) and adminstratrixes (female), and guardians. Yes, Personal Representatives are entitled to be paid for their time and expenses. The law presumes that the Personal Representative performs his or her duties with an expectation of payment. Sometimes the Will states how much the Personal Representative is paid. If the Personal Representative feels the compensation stated in the Will is not enough, the Personal Representative can decline to take those fees and ask the court to award “reasonable” fees. Also, if there is no compensation provided for in the Will, the Personal Representative can ask the court to award “reasonable” fees. In determining what a reasonable fee is, the court looks at the value of the overall estate, the nature and complexity of the services performed, the time spent performing such duties, and hourly rates for the type of work performed. Can I decline to be the Personal Representative? Yes. Serving as Personal Representative is voluntary. Whether to take on the responsibility may involve several considerations. One thing to consider is that the decedent usually put thought into who was named Personal Representative. The decedent may have felt the named Personal Representative would deal with the family well, had a good business head, and is trustworthy. The job brings with it special responsibilities. A Personal Representative has a fiduciary duty, meaning he or she must act in the best interest of estate beneficiaries and creditors. Failure to meet the fiduciary duties can result in personal liability. So there are some risks associated with taking the job. But for most people, the risks are minimal and can often be minimized by working closely with an attorney experienced in probate matters. How do I file a creditor claim during a probate? You can file a claim in a probate case if you were owed money by the decedent. If the personal representative knows you are or may be a creditor of the estate, you may have a received something called a Notice to Creditors, which explains how you file a claim. Notices to creditors are also published in newspapers to provide notice to creditors who are not known by the personal representative. If you receive a Notice to Creditors in the mail or by personal service, you must file your claim within 30 days of receiving the notice, or within 4 months after first publication of the notice in a newspaper, whichever is later. If the personal representative would not have identified you as a possible creditor after reviewing the decedent’s papers, and if a Notice to Creditors was published in a newspaper, you must file a claim within 4 months of first publication in the newspaper. If the personal representative could have identified you by reviewing the decedent’s papers and did not send you a notice, or if the personal representative did not publish a notice to creditors in a newspaper or give you notice, you have 24 months from the decedent’s death to file a claim. Failure to file your claim within these time limits bars your claim. A claim must include: your name and address; the name, address (if different from that of the claimant), and nature of authority of an agent signing the claim for the claimant; a statement of the facts or circumstances constituting the basis of the claim; the amount of the claim; and if the claim is secured, unliquidated, contingent, or not yet due, the nature of the security, the nature of the uncertainty, or the date when it will become due. The claim must be filed with the court, a copy provided to the personal representative or the personal representative’s attorney. Can any relative contest the will during probate? Any person – whether or not a relative – who has an interest in a Will can sue to contest it. Reasons to contest a Will can include competency of the person signing the Will, whether the Will was the product of undue influence or fraud, and any other reasons that might make the Will invalid. A Will contest must be started within 4 months of the start of the probate. After that time, Will contests are barred. If the Will has already been admitted to probate, then the burden of proof rests on the person contesting the Will. If the Will was not probated, then the person claiming the Will is valid has the burden of proof. If a person contests a Will and wins, it is up to the court to decide whether to award costs to the contesting party. If the Will contestant fails to challenge the Will, the court can award both costs and attorney fees against the contestant, unless the court finds the contest was brought in good faith and with probable cause. What if the deceased has unknown bank accounts, stocks, etc.? Where will the monies go? A personal representative has a duty to diligently search the decedent’s records to find all bank accounts, stocks, and other assets of the decedent. A diligent search includes reviewing the decedent’s mail, personal papers, correspondence, and any other belongings of the decedent that may give clues to what the decedent owned. It is also a good idea for a person to leave a letter of instruction to family members saying how such things can be found in the event of his or her death. However, if something is missed, banks and other third parties have a duty to turn unclaimed property over to the state Department of Revenue. You can search for unclaimed property in Washington by visiting: http://ucp.dor.wa.gov/. Other states have similar unclaimed property departments, many of which can be searched online. I’m the personal representative, but don’t get along with members of the family. Do I have to talk to them during the probate? Someone must speak to family members during the probate. In the interest of efficiency and saving money, it is often best if the personal representative keeps open lines of communication with the family. However, if that is simply not possible, then the next person likely to speak with family members is your attorney who will charge for his or her time to do so. Remember that most people put careful thought into who they select as their personal representative. Although you may not feel like you get along with your family, you may have been selected for the job because you are better suited than other family members to keep everyone informed. And finally, remember that serving as personal representative is not mandatory. If you are unable to perform your duties because of conflict in the family, you can decline to serve. If the family situation is particularly difficult, the family can always ask the court to appoint a neutral third party to serve as personal representative. What benefits does Washington’s probate creditor’s claim law provide? By using the procedures in Washington’s probate creditor’s claim statute, a personal representative can reduce the time during which a creditor can make a claim against a decedent’s estate. Normally, a creditor has until the expiration of a statute of limitations to file a claim, which sometimes can be up to six years. But by sending out a Notice of Creditors and publishing it in a newspaper, the time for creditors to file claims can be reduced to anywhere from 30 days to 24 months, depending on the circumstances and type of notice provided. The terms “testate” and “intestate” are terms of art used by attorneys that refer to whether a person died with a Will. A testate estate is one where the person died leaving behind a valid Will. An intestate estate is one where there was no Will, or the Will was invalid. When an estate is testate (there is a valid Will), the decedent’s estate is distributed to the beneficiaries named in the will. The Personal Representative and courts are charged with fulfilling the deceased person’s wishes as stated in the Will. When an estate is intestate (no valid Will), the decedent’s estate is distributed according to statute. Generally, the statute provides that the estate will pass to the nearest relatives of the deceased person. Contrary to what some people are told, a person’s estate does not pass to the state or government in this situation. A person’s estate will only pass to the state or government (called an “escheat”) if no living relatives of the deceased person can be found after a diligent search. I’ve heard probates can drag on. Is there a way to make them quick? Washington has laws and procedures in place designed to make probates relatively quick and inexpensive. Also, Washington has adopted procedures that can be substituted for a probate to make the process of handling someone’s estate after their death move quickly and efficiently. An attorney experienced in these types of cases should discuss all available options with you during a first meeting. Even though Washington has tried to simplify the process of handling a person’s estate after their death, there are still some circumstances where the process can drag on. These reasons often have nothing to do with “probate” itself, but rather with other factors unrelated to process used. Such factors can include a need to sell real estate, handling tax matters, and disputes among family members as to how the estate is to be handled. Does the personal representative need to set up a separate estate bank account? A personal representative owes a duty to the estate, its beneficiaries and creditors to properly manage the assets and funds of the estate. Technically, there is no rule requiring a personal representative to set up an estate bank account, but doing so is a good idea. Setting up an estate bank account helps prevent co-mingling estate funds with personal or business funds, it provides a place to deposit funds payable to the decedent, and it provides a method to keep track of estate funds. At some point the personal representative will need to provide an accounting, which is easier if the estate funds are kept in their own account. If the estate doesn’t have enough money to pay all the bills, the first thing to remember is the personal representative and family do not have to pay those bills from their own funds. The decedent’s estate is liable for the debts of the decedent and creditors cannot collect more than the decedent owned. In such cases, there is a law that prioritizes the order in which creditors get paid. Creditors are put into categories (secured creditors, costs of administering the estate, funeral expenses, medical bills, wages owing, taxes, judgments, and other general debts) and are to be paid in a particular order. If there is not enough money to pay all the creditors in a given class (such as medical bills) then the creditors in that category are paid a pro rata share of what they are owed based upon what all creditors in that class are owed. When the money of the estate runs out, no other creditors get paid. I am the executor of an estate in probate. Who is responsible for taxes upon distribution? Should taxes be paid prior to distribution? There are several different types of tax liability that may exist in the context of an estate. There may be income taxes that the decedent owes, or if the estate is large enough, estate taxes (most estates are small enough that no estate taxes are owed). These taxes should be paid out of the assets of the estate. Absent mismanagement by the executor, these are not personal obligation of the executor. But, it is the executor’s responsibility to make sure these taxes get paid. Also, in many cases, returns must be filed and taxes paid within 9 months of the decedent’s date of death. So it is important for the executor to meet with a tax professional as soon as possible to make sure the necessary returns are prepared in time. Heirs generally have no tax liability for distributions from the estate, so this is not something the executor should be concerned about taking care of prior to distribution. Yes, taxes should be paid prior to distribution. Distributions to heirs should be of the net estate. This means the portion of the estate that is left over after taxes, creditors, and administrative expenses have been paid. If tax liability is not determined prior to the distribution then there is no way of knowing if the right amount is being distributed. What is the statute of limitation for making a claim on a will? A person contesting the validity of a will or making a claim contrary to the will must start the case within 4 months of the probate being filed. If a challenge to the will is not filed with the court and served on the personal representative, then the probate of the will is final and binding. There is an exception if an interested party is not given notice that a probate has been started. That interested party then has 4 months from discovery of the probate to file a challenge to the will. Please contact our offices for your questions and concerns about will preparation and estate planning. Our experienced attorneys are here to help you.